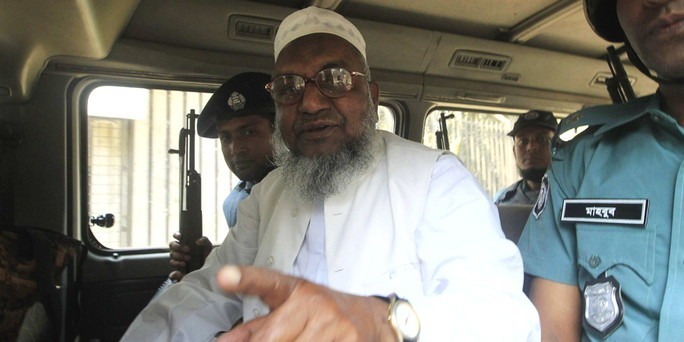 The Islamic Human Rights Commission strongly condemns the execution last night of the Bangladeshi opposition leader Abdul Kader Mullah. Mullah, a leader of the popular Jamaat-e-Islami party, was hanged after his appeal against the death sentence was dismissed by the country’s Supreme Court. His execution marks the latest episode in an ongoing witchhunt against opposition leaders by Bangladesh’s ruling Awami League under the pretext of bringing war criminals to justice. Mullah was the first person to be convicted by the International Crimes Tribunal (ICT), set up in 2010 to investigate atrocities carried out during the country’s 1971 war of secession with Pakistan. To date all the suspects to have been brought before the court are senior opposition leaders. The execution came despite universal condemnation of the tribunal on the grounds that it does not meet international standards. Bangladeshi authorities ignored a call by the UN human rights commissioner Navi Pillay to reprieve Mullah on the grounds that his conviction fell short of the international standards required for the death penalty. In Mullah’s case, the tribunal had originally handed down a life sentence. When angry crowds demanded he be hanged, the government retroactively changed the law to allow it to appeal against the punishment as being too lenient and secure a death sentence. IHRC shares the concern of nearly all human rights groups that rather than being an instrument of justice, the ICT is being used as a tool by the secular Awami League to eviscerate one of its main political rivals. For media enquiries please email media@ihrc.org or call 020 8904 4222 or 07958 522196.